Kylie Kwong, Australia’s best- loved modern Chinese chef and restaurateur, is closing her Sydney restaurant Billy Kwong and opening a new dining concept later this year. 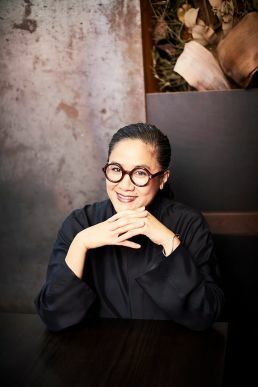 After 19 years as chef and restaurateur of Billy Kwong, first on Crown Street, Surry Hills, then its current location on Macleay Street, Potts Point, Kylie has reflected on her future focus and priorities. This new concept will allow Kylie the time and energy to concentrate more on projects aligned to the values Billy Kwong was built on; collaboration, celebration and community. This will also create the opportunity to commit to projects aligned with her passion for art and culture, such as Carriageworks, which she has been an ambassador for over the past four years. The venture will be an entirely new dining concept- a bustling, casual eatery with a much smaller dining space. It will be the culmination of Kylie’s work and will distill her favourite parts of Billy Kwong into something exciting and new. The space will be a creative collaboration between Kylie and one of Australia’s most renowned designers and craftspeople, Adelaide-based Khai Liew. Kylie will continue and intensify the collaborations with local producers and communities that Billy Kwong has become renowned for. 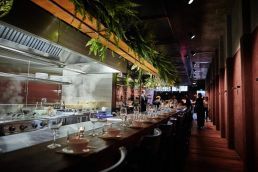 “In the meantime, Billy Kwong is still very much open and we look forward to seeing all of our wonderful, supportive diners in the coming months,” says Kylie. Many of Kylie’s beloved staff, including long-time manager Kin Chen, will remain working at Billy Kwong until close. 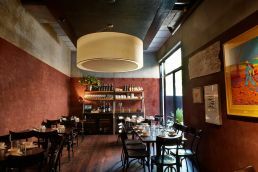 Billy Kwong will continue to operate until a new tenant is secured for the existing site. A new site is still to be confirmed. More details around the closing date of Billy Kwong and the opening of the new site will be released in coming months. For bookings please visit www.billykwong.com.au to book online or call 02 9332 3300. Open for dinner seven days a week from 5.30pm and all day Sunday from midday.